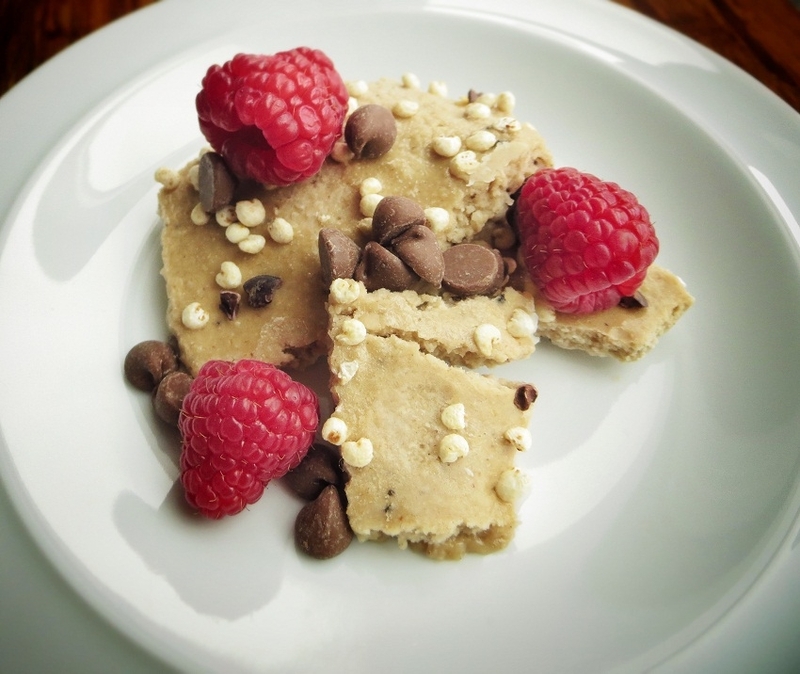 These delicious snack is full of protein, easy to make, and tastes like candy! Mix all dry ingredients (except cacao nibs) into peanut butter. Spread on a baking sheet covered in lightly greased tinfoil, and place in the freezer for ~ 30 minutes. Remove and break into 12 pieces.